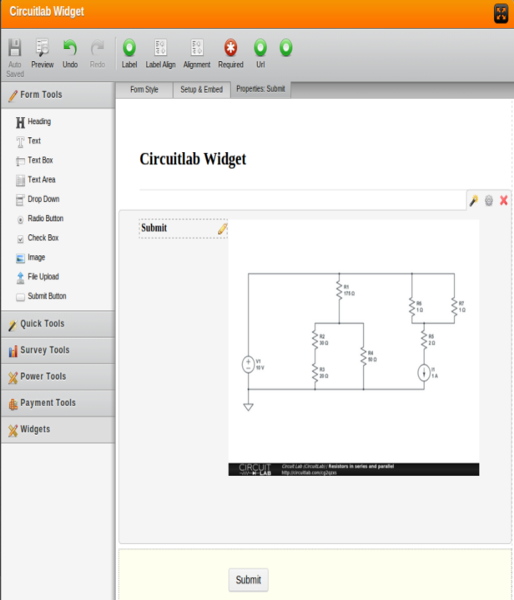 Circuitlab is a powerful online tool designed to create, simulate and share circuits using just your web browser. 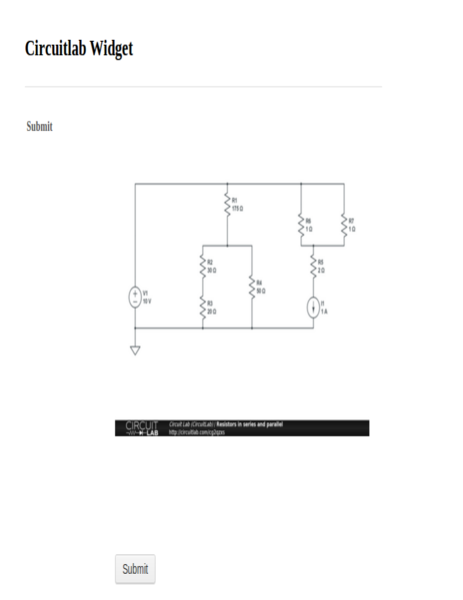 Sketch a circuit with the online editor, once it is ready just grab the circuit URL and paste it inside your widget. 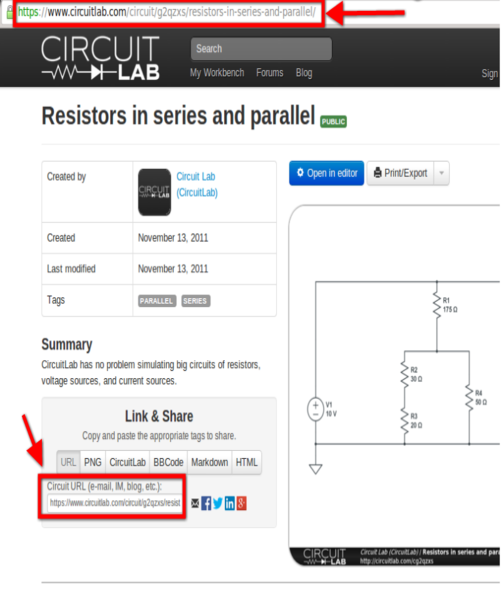 Check for yourself how simple is to create and share circuit sketches by using the Circuitlab tool.